Two hundred classic cars from all over Europe will take part in the 21st Silver Flag hill climb in Vernasca, in the Italian province of Piacenza, on 17-19 June to celebrate the Alfa Romeo’s racing heritage. Before the start of this year’s hill climb, participants will have the option of a classic track day on the 16th at the Varano de Melegari Circuit and a visit to the Dallara factory, responsible for building some of the most successful F1 Ferraris and F3 race cars. The event remains loyal to its traditional three 9km hill climb runs during the weekend, on closed roads and with no timekeepers. Another feature will be the “Dynamic Restoration and Conservation Concours” where a jury will have the difficult task to choose the “Best Restored” or “Most Original” cars for each category. In celebration of Alfa Romeo, over 70 racing cars of the Milanese brand will be taking part, with the oldest being a RLTF coming from Great Britain. 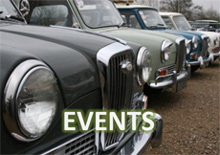 There will be cars from the pre-war years also, including a 1500 GS, a 1750 GS Compressor and a 2300. The 50’s and 60’s will be represented by major players with a 1900 Superleggera, a Giulietta Sprint and the Zagato. 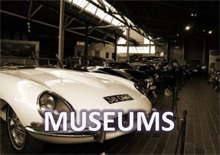 Cars from the Alfa Romeo museum will be taking part as well. One of the great Alfa Romeo drivers, Arturo Merzario, will drive the Giulietta Zagato in which he began his career, while Sandro Munari will drive the Lancia Stratos Alitalia in which he won four editions of the Rally of Monte Carlo. The daughter of the famous F1 driver Clay Regazzoni will participate with the Tecno F2 in which his father won the European F2 Championship. But it is not only about Alfa Romeos, more than 30 brands will be represented at the event, including Abarth with models ranging from the small “derivata” Fiat 500 up to the great 3000 Sports Prototype. There are also many cars driving from Britain to the event including a BRM (a classic F1 in Marlboro livery), Cooper, Lotus, Brabham, Ford, Allard, Alvis and MG, amongst others. From France, the Matra Museum will be sending a MS 630 and F3 in their “Blue France” colours. 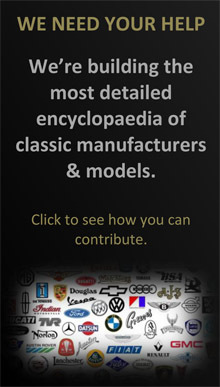 Germany will be represented with a rare Veritas and several Porsche prototypes of the ’60.